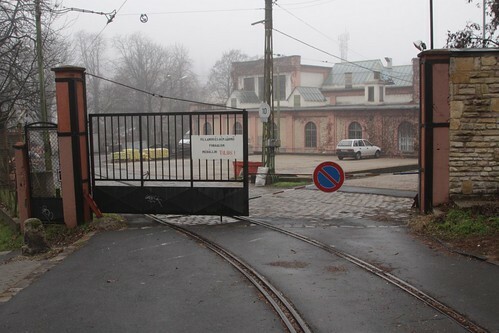 It was on my visit to the Budapest Cog-wheel Railway that I stumbled upon the Városmajor depot, where local transport operator BKV stables their fleet between jobs. 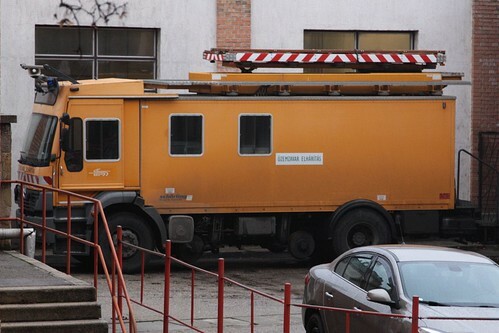 First up I saw what looked to be an overhead line maintenance truck – it had ‘Üzemzavar Elhárítás’ on the side, which translates to ‘breakdown recovery’. 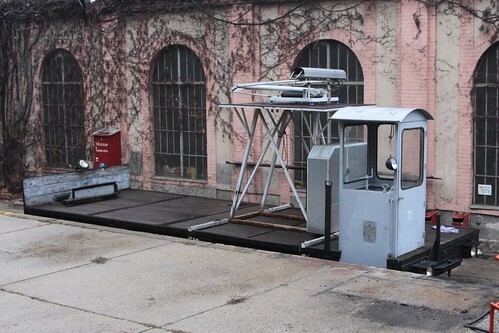 And on a nearby track was this odd looking contraption – an open sided wagon with a control cab at one end, and a pantograph on the roof. Some form of works wagon perhaps? 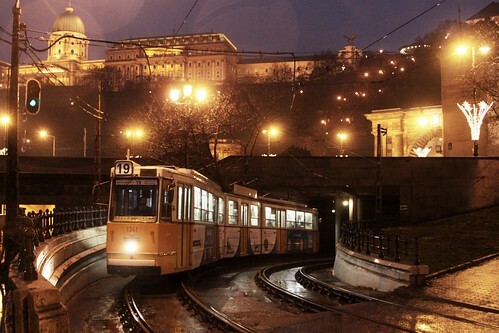 Details of the BKV tram fleet can be found at the Tram-hiker’s guide to Budapest – but unfortunately it doesn’t cover works vehicles in much detail. This entry was posted in Trams and tagged BKV, Budapest, Budapesti Közlekedési Vállalat, Hungary, maintenance, pantographs, rail operations. Bookmark the permalink. Wow, we too travelled on the cog railway to get to the Childrens Railway in Budapest. It much have been a railfan who decided to build the Gyermekvasút (Childrens Railway) and the cog wheel railway in the same place!